The knock-out Show that everyone is talking about! ​If You want to see two legends brought to life then look no further! The Frank & Dean Show will take you back to the golden days of entertainment. ​The music, the gags, the fun and a stunning vocal delivery make this show unmissable! 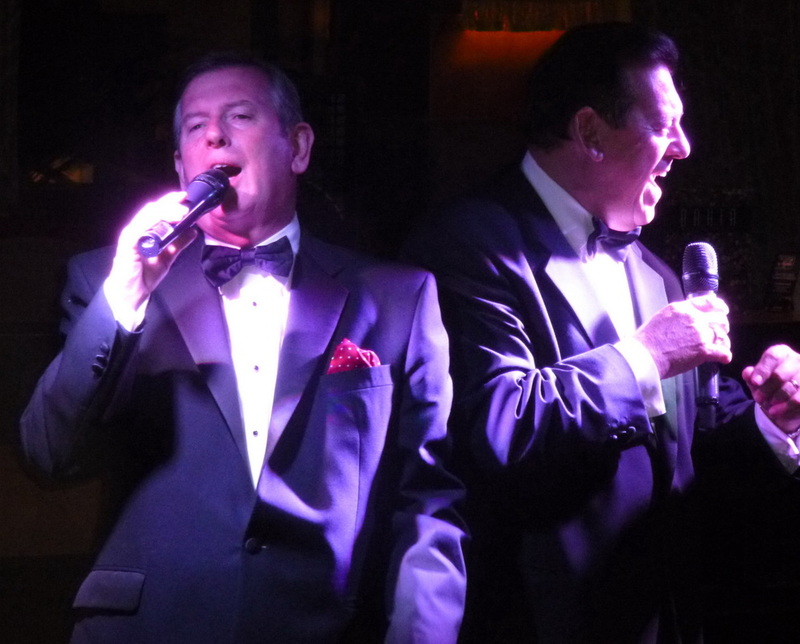 The Frank and Dean Show brings class, elegance and fun to every event! Whatever the party, it's a "Heluva Party" with Frank and Dean! 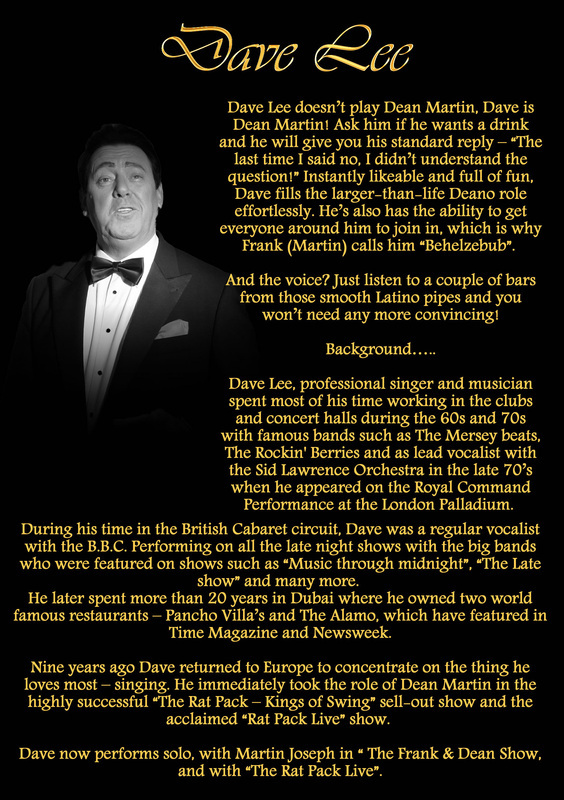 For the most authentic reproduction of two ledgends of showbusiness, look no further. 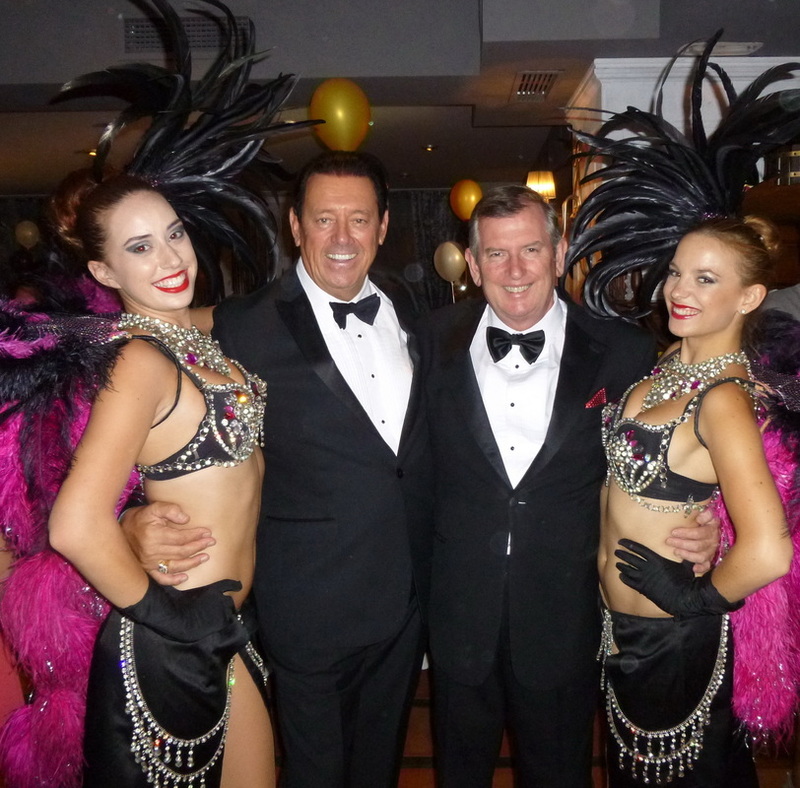 The "Frank & Dean" show has been wowing crowds all over Europe for the past 7 years at major corporate and public events. 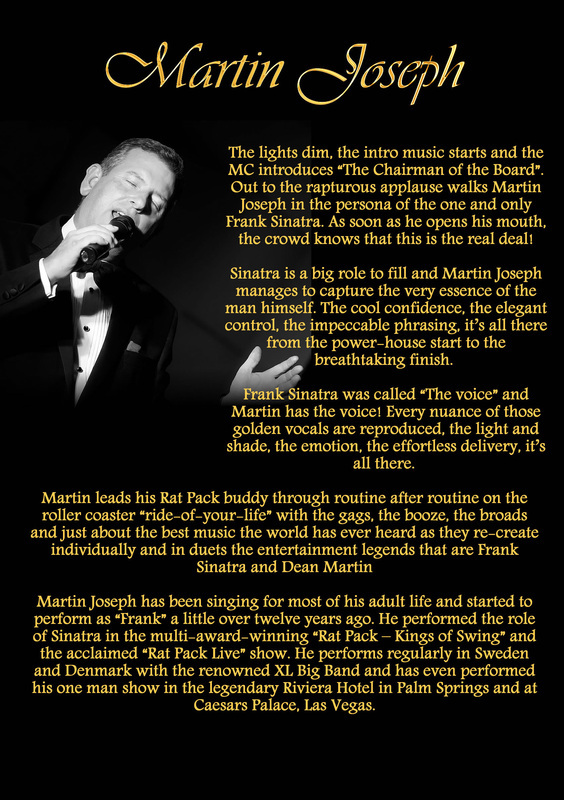 This great show encompasses the personalities and unbeatable music of Frank Sinatra and Dean Martin at the very height of their profession in the "Rat Pack" 1960's. This is not just two guys singing like Frank and Dean, this is two guys being Frank and Dean. From the bar-room gags to the non-stop banter, the iconic humour is as impressive as the impeccable delivery of the musical repertoir. And what a repertoir! Come fly with Me, That's Amore!, Me and My Shadow, Volare, New York, New York, it's all there in one sumptous trip into a time when girls were "broads" everything was "a gasser"! For every party, for every event, these two consumate professionals will have your guests talking for years to come about the night Frank and Dean came to town!